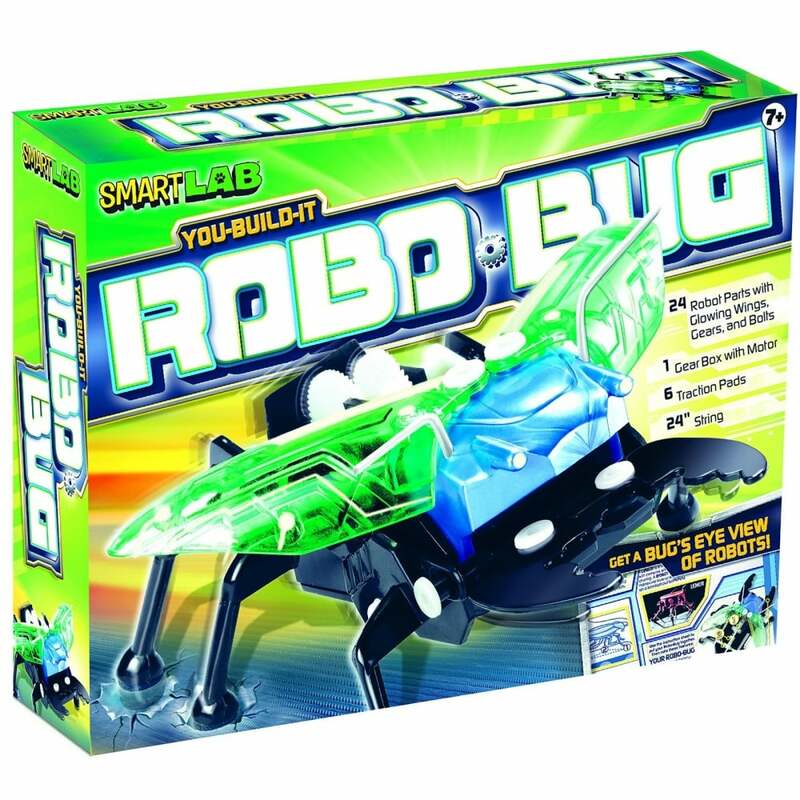 Build you own bug robot and you will get to see the bugs eye view and learn the science of robotics, a great gift for any body who like to explore, create and experiment in robotics. The Robo-Bug can manoeuvre indoor and outdoor terrain, including crawling over sand and rocks, pull objects, and even climb up hills. Contents: 24 Robo parts, glowing wings, gears and bolts, 1 gear box including motor, 6 traction pads, 24" string and instruction booklet.